Simply Renew is committed to a superior level of professionalism, care and medical expertise. We tap into the power behind innovation and science to give you access to safe, state of the art, and affordable customized skin care therapies. 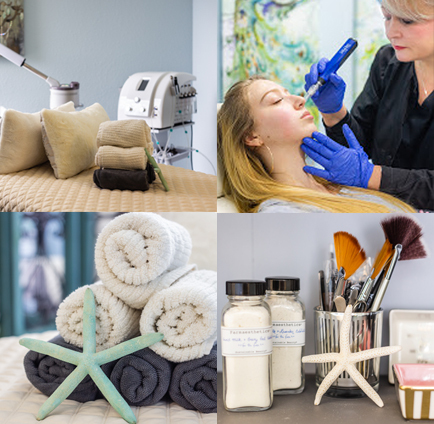 Not all treatments are appropriate for everyone so we take the time to assess, discuss and recommend customized treatments that will benefit you the most, helping you to achieve your own personal skincare goals. We’ve created an exceptional, intimate space for you to relax, feel refreshed and simply renewed. No one deserves it more! At Simply Renew, our staff is committed to a superior level of professionalism, care and medical expertise. We believe in what we do – providing you with the latest innovations in aesthetics and skin rejuvenation using only the most trusted products available in the industry. Sandra Rieth, our board certified nurse practitioner, leads the team as our aesthetic and skin care consultant. While her background is in critical care nursing, she has found a new passion in aesthetics medicine. 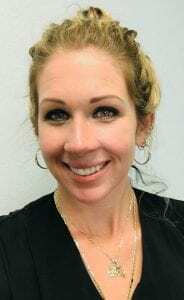 Jessica is a licensed massage therapist with over 10 years of experience in all styles of massage. She blends modalities to offer a full range of therapies to relax the mind and body, relieve stress and promote better health and a sense of well-being. Simply Renew is proud to have Dr. Arash Farahvar, PhD, M.D. serving as our medical director. He received his fellowship training at the University of Miami School of Medicine and has a PhD in stem cell transplantation for the brain and spinal cord.. He believes that through holistic and aesthetic practices it is possible to cultivate inner poise, nourish the mind, body and soul. Call Simply Renew today to find out more about what Simply Renew can do for you at 941-893-4677. Free consultations are available for all cosmetic injectables, facial rejuvenation treatments and customized facials. During each initial no cost consultation, we do a comprehensive assessment to determine which treatment options would be appropriate for your skin, your budget and your personal goals. Think of CareCredit as your own health, wellness and beauty credit card. Whether it’s plastic surgery, facial rejuvenation or a skin care visit, you shouldn’t have to worry about how to get the procedures you want. That’s why we’re pleased to accept the CareCredit health, wellness and beauty credit card. CareCredit lets you say “Yes” to recommended surgical and non-surgical cosmetic procedures, and pay for them in convenient monthly payments that fit your financial situation. It’s free and easy to apply and you’ll receive a decision immediately. If you’re approved, you can schedule your procedures even before you receive your card. With more than 21 million accounts opened since CareCredit began nearly 30 years ago, they are the trusted source for healthcare credit cards. Learn more by visiting www.carecredit.com. Simply Renew Med Spa, Wellness and Massage offers North Port and our surrounding communities professional, affordable aesthetics, skin rejuvenation and massage therapy. Our staff is committed to a superior level of professionalism, care and medical expertise. We believe in what we do and are proud to continue to deliver the highest quality of service to our clients. Sign up for the latest at Simply Renew! From Highway 41, turn onto Toledo Blade; continue to stoplight at Plantation /Commerce Parkway, turn left and follow street to first parking lot on the right, located at second building on the right. From I-75 north, take Exit 179; turn left onto Toledo Blade to Plantation/Commerce Parkway stoplight; make a right onto Commerce Parkway and follow street to first parking lot on the right, located at second building on the right. From I-75 south, take Exit 179; turn right onto Toledo Blade. Continue to Plantation/Commerce Parkway stoplight; make a right onto Commerce Parkway and follow street to first parking lot on the right, located at second building on the right.